The tax reform bill that was approved earlier this year resulted in significant revisions to the U.S tax code which will impact individuals as well as businesses. While we await additional guidance on the effects of the new tax laws, it is crucial to have a general understanding of the tax system and what our rights and responsibilities are. Failing to file one’s income taxes or not paying all the taxes you are required to pay can have serious consequences. 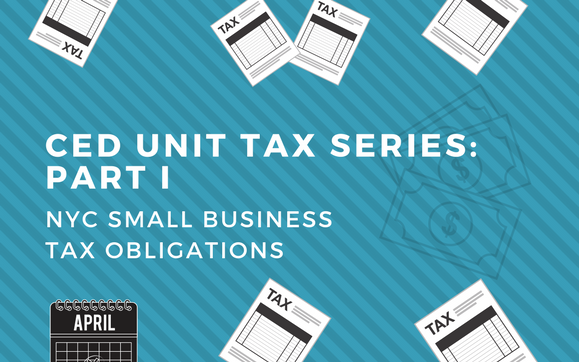 In an effort to help you better understand what you are responsible to pay as an individual or as a small business owner, the CED Unit has released a guide from the Neighborhood Entrepreneur Law Project on the basic taxes that apply to small businesses.